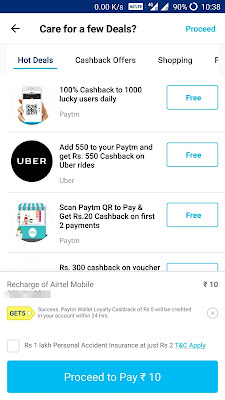 Paytm is back with another loot in which they are giving Flat Rs.5 Cashback on a minimum Recharge or Bill Payment of Rs.10 upto 10 times daily. That means you can get cashback Of Rs.5 10 times everyday Worth Rs.50 until offer lasts. Even on same number you can do it 10 times. How to Get Rs 5 Cashback on Min Recharge of Rs.10 ? 2. Sign up or Sign in if you already have an account. 3. Now initiate a Recharge. 4. Select your Number, Operator, Amount. 5. 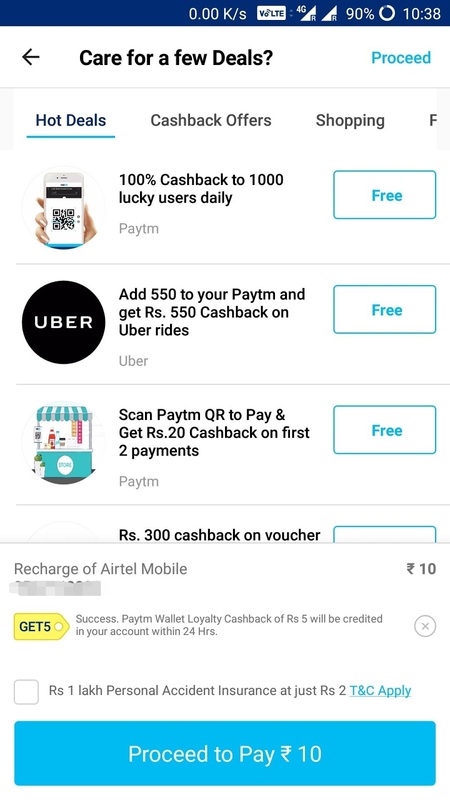 Make sure that the Recharging Amount is at least Rs 10because the minimum recharge required to get the Cashback is Rs.10. 6. Now click on Proceed to Checkout. 7. In the Have a Promo code Section Enter the below Coupon Code and Click on Apply. 8. Now Proceed to Payment and Pay the Amount. 9. After Payment is Successful you will get your Cashback within 24 Hours. 10. 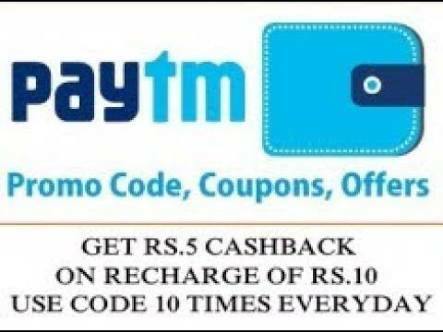 Remember that you can Avail this offer 10 times every day so loot fast because only 2 lakh payments every day will get the cashback. User can use this code 10 times every day. One number can be recharged 10 times every day.